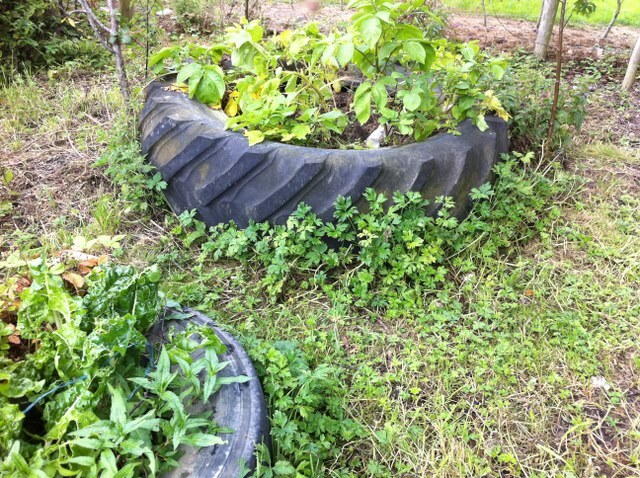 You may remember some months back, Fingal Libraries asked me to come up with and teach a 6 part gardening course to [including] Dan’s 5th class in the Educate Together School, Balbriggan. 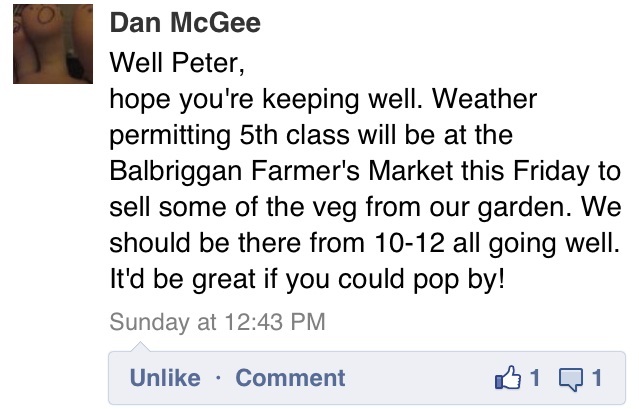 Not only did class teacher Dan take it a stage further by organising the building of a garden for the class, in his and my spare time, but now he is to the point were the class produce is to be sold at the schools local Balbriggan Market, this coming Friday. A little note of huge and gigantic thanks to the very lovely and wonderful staff of New Ireland Assurance where this evening I gave a ‘Grow Your Own – In Confined Spaces’ talk/ demonstration. People that make a place in mind, everyone sincerely was just absolutely lovely and as gigs go, I should admit I really enjoyed that one. The question is, does it ? 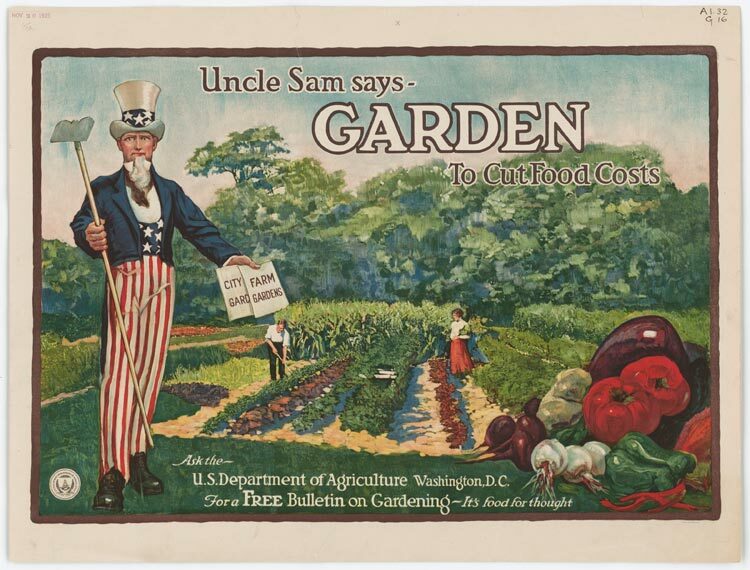 Does growing your own vegetables actually save you money ? 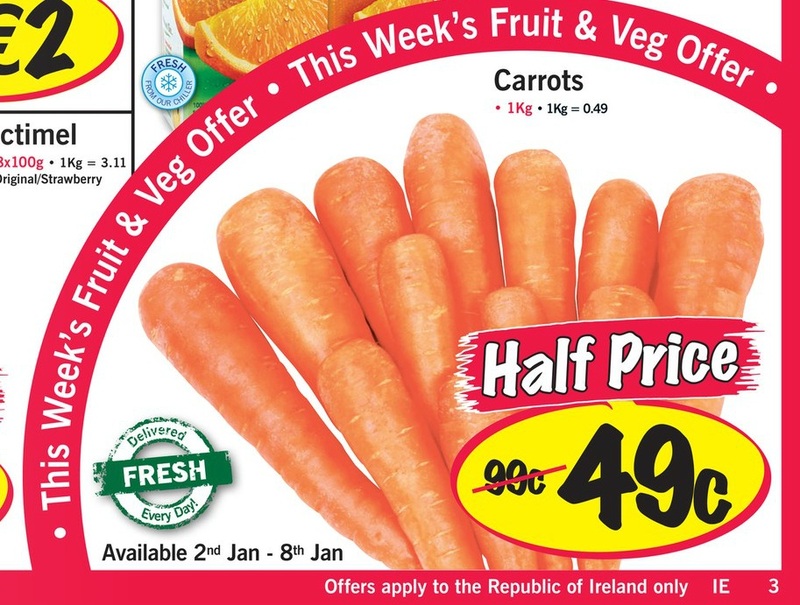 A quick glance between Superquinn’s prices [correct as of 05/01/12] and what potato seed and onion sets [2011 prices] cost make me wish to mildly scratch my head, a lot. I and you can figure the maths out on an abacus. note: All prices from supermarket websites were taken January 5th 2012 and show their normal prices before and after discount. 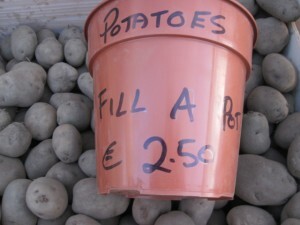 To the potatoes alone, I know I was able to buy 10kg for €2.49 in Dunnes Stores up until recent. 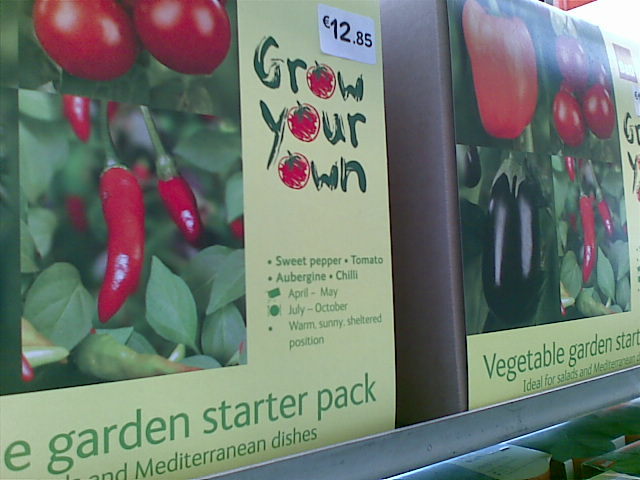 I had noted the B and Q grow your own kits way back in 2009. But it seem how we grow our own has evolved so much more, or at the very least the range of products available to you to do so has. If we trail all the way back to 1917, the cliché may make a little more sense. 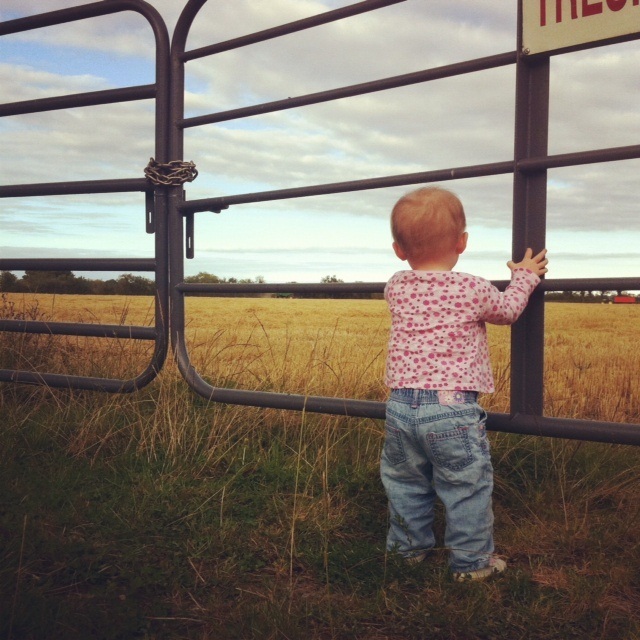 Here it’s slightly more honest in todays relevance and notes ‘to cut food costs’. That however was a time long before compost at €4-7 per bag ever existed. I spoke before about the gentleman I witnessed in the hardware superstore buying organic compost with miraculous powers [4 bags @ 6 euro each] one pot [15 euro] and non-organic seed potatoes [6 euro]. 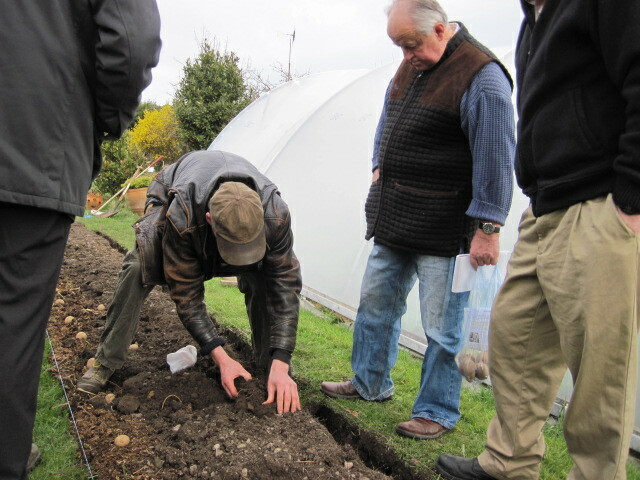 Throw in some raised vegetable beds instead if you should like – and you possibly have the most expensive spuds per kg in the country. Back to the original question. 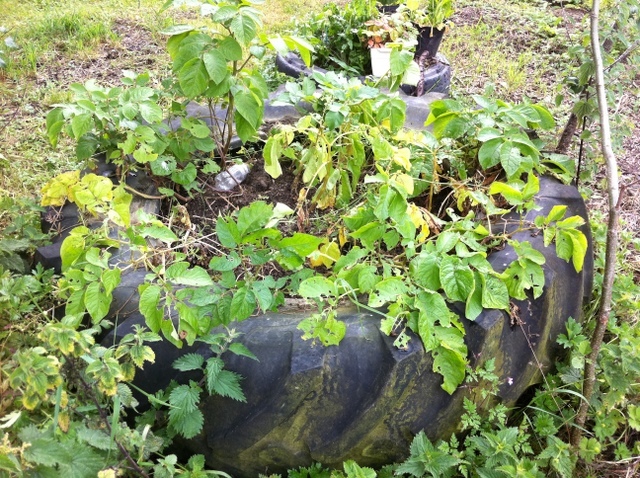 Can growing your own save you money ? 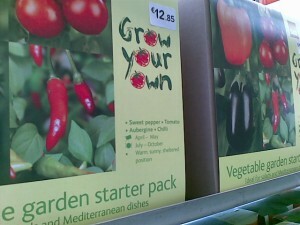 Personally, I believe it depends on how you [in this case] grow your own. There is a bigger picture in all of this. And if like camping in 1980’s Ireland and Britain and its recent revival, the trend is to continue I believe the PR firms need to go back to the drawing board and come up with a new slogan. Maybe it’s just that as a 6 year old in Ireland in 1982 I chose to spend my pocket money on garden sieves as versus growing mediums, at a time when gardening wasn’t very popular and I was cutting grass to supplement my hobby – how times haven’t changed. 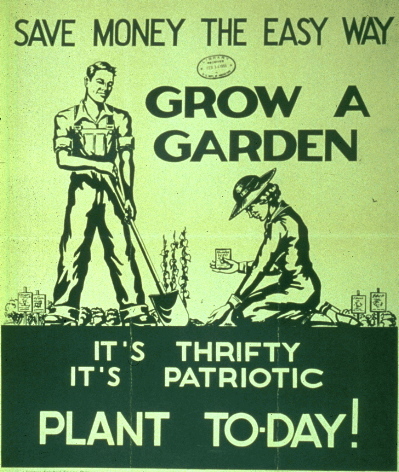 But from then til now aged 35 – I don’t believe my personal life outdoors [to an extent] and gardening has ever been about how much it cost me to enjoy my passion. It was more about who I spent the time with and in a different context, in my working life, what had or can be been achieved. Most of the time however it’s simply because I love what I do – and equally as important – I get to smile doing it. 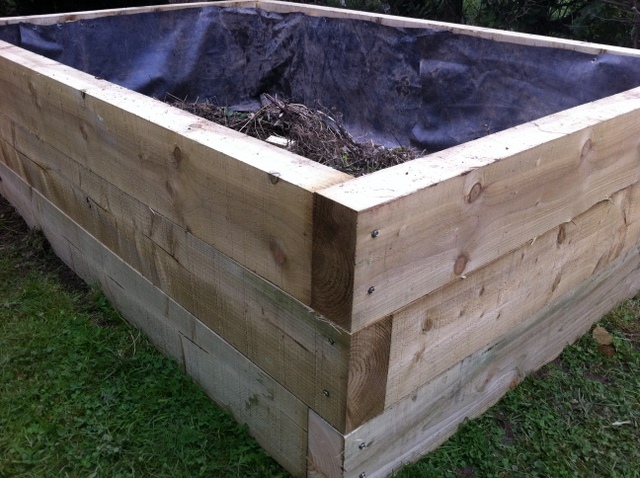 If you are going to invest in raised vegetable beds for the purposes of growing your own kitchen garden or more, then there is only one real way to do it. 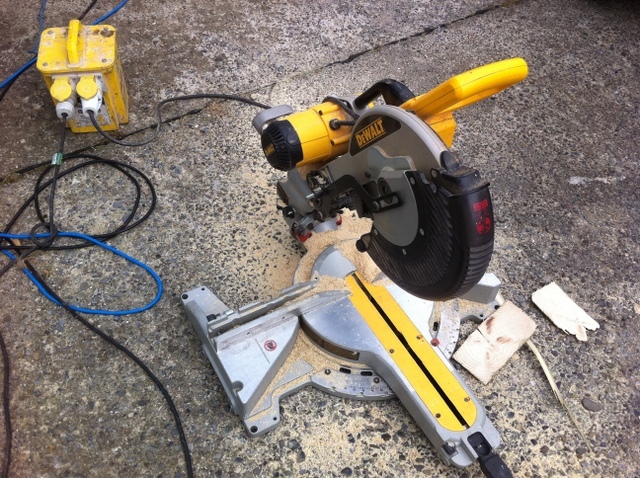 Enquires, getting some built suited to your space outside or changes in design and style…. my contact details are below. Well built. Structurally sound, strong and solid. 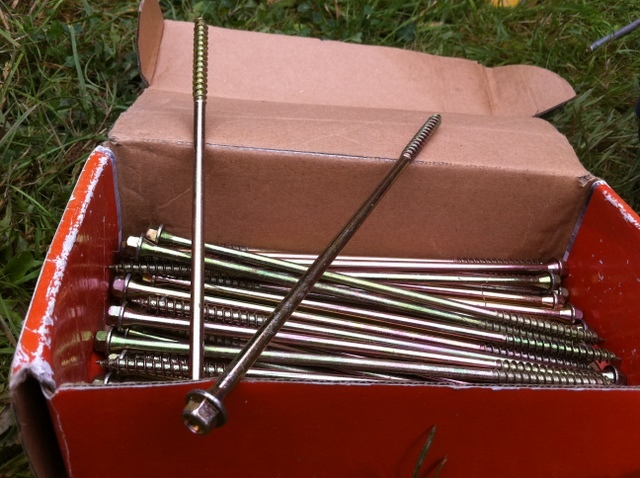 The screws are expensive but – they are the modern version of a coach bolt and are seriously strong. 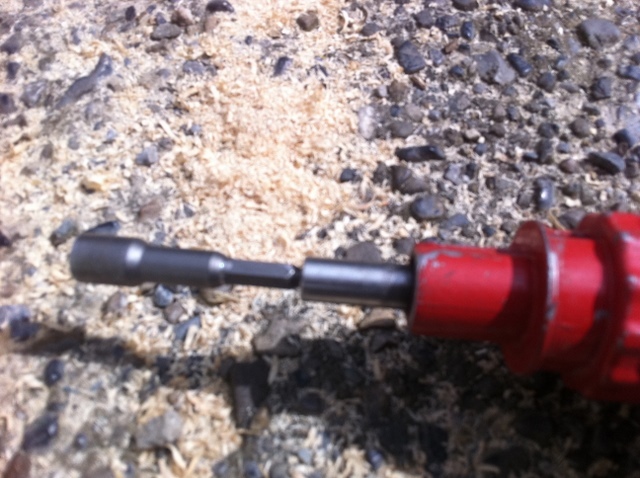 So strong that a standard drill would not do the job of churning them in. 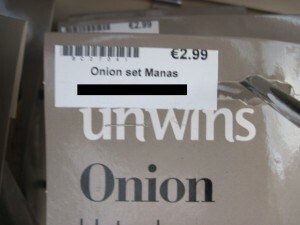 Then again, they are 8″ long. 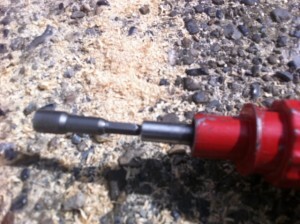 Also they use an 8mm hex driver bit. Again, for the long term quality will matter. 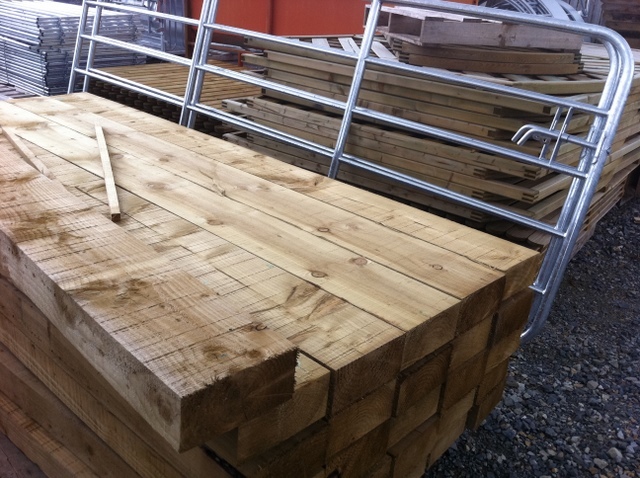 Timber can vary in length by up to/ about 10mm. When one is 230cm and the next 245cm – as precision goes, it matters and is is extremely important, for me. Measure twice – cut once. 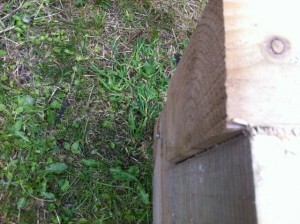 Wood can twist and bend, slightly. This is not unusual – it’s just what wood is and what it does. It may need some working. Spirit level is one thing – aesthic levels are far more important. This is not a swimming pool. 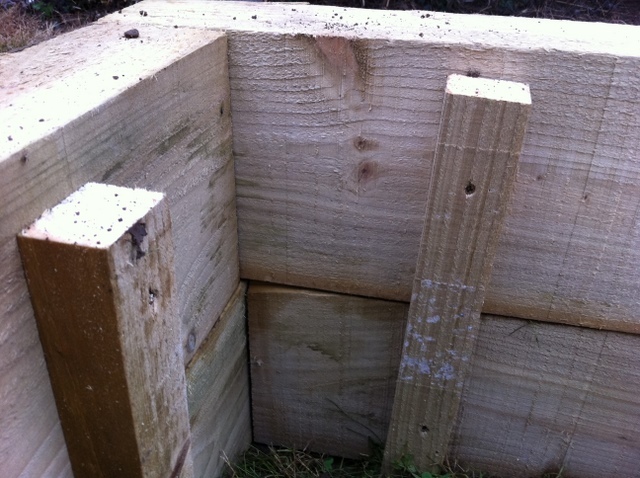 One could reduce on timber quality and timber dimensions, but each of these beds will have 2- 4 tonne of wet soil forcing against it’s sides. 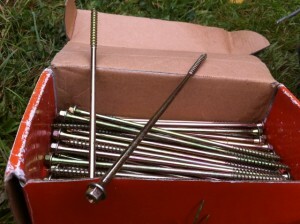 Strong, durable and tough matters here and hence why the screws/ bolts are the quality that they are. The lining could be done cheaper. 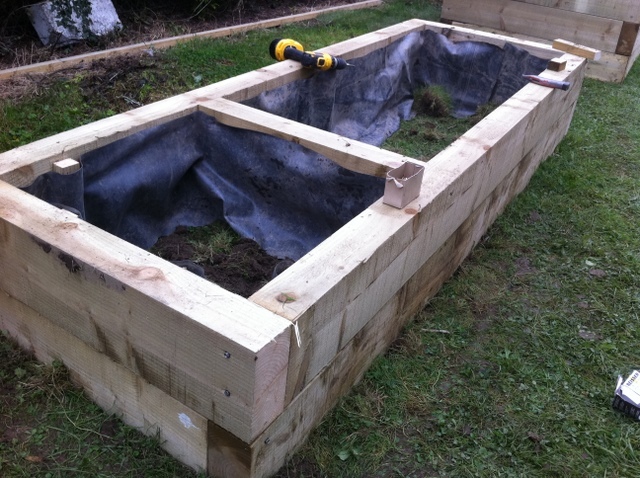 However, butyl rubber is generally noted for lining ponds and again that amount of wet soil lying constantly against timber sides…. you simply won’t find a stronger longer lasting liner than this. 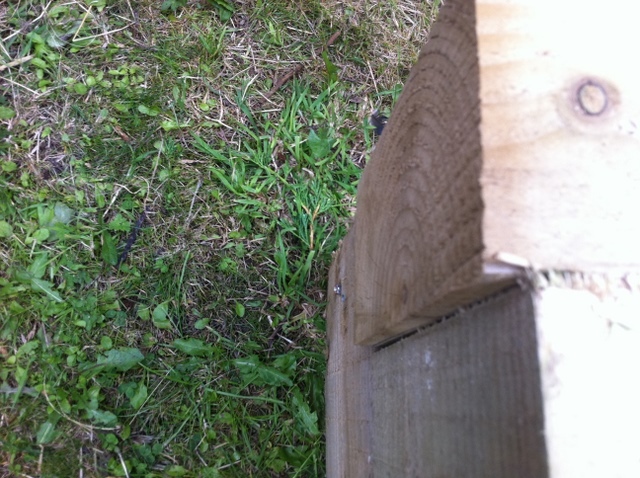 The ground here had three different levels from three different sides. 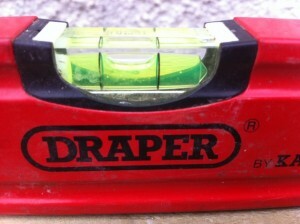 A spirit level is of benefit but so is a good eye for appearance. A mattock will dig perfect trenches. 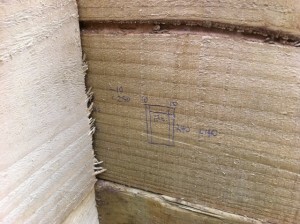 The timbers are [the tallest] three high on their side – 66cm – the largest area of which is 240cm x 180cm. I didn’t want them to look like [silly as it may sound] big boxes. The alternated end corners help for that reason. Above all the right tools for the right job and life will be made much easier less complex. The tools I use are not that that will put together an ikea type book shelf. This is a place as versus being thought of as labour intensive, I would like to be renowned and considered for being one of retreat, relaxation and escapism. 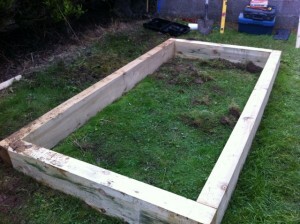 Enquiries or further information on your made to measure grow your own raised beds ?